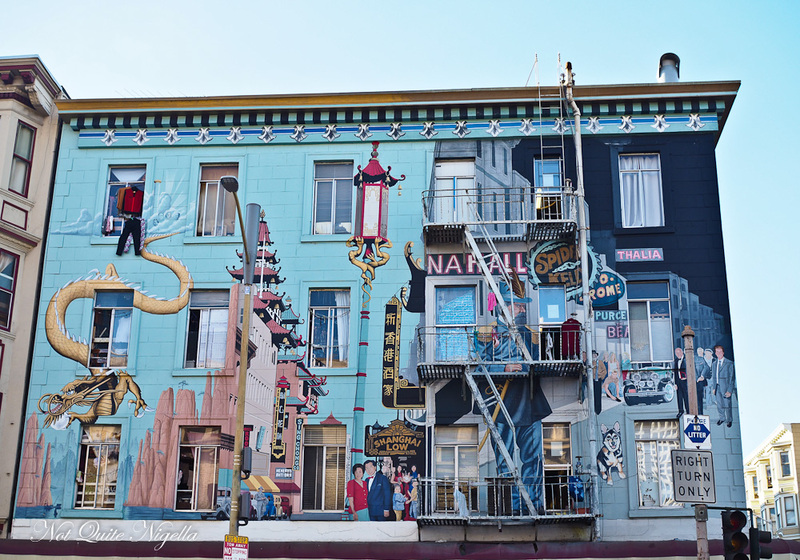 San Francisco's Chinatown is said to have few rivals in the Western world in terms of size. This historic area often featured in movies is a sprawling 24 blocks in size and two postal zip codes. Chinese migrants made this area their home from 1848 and it is one of the city's most popular attractions-for what else but food! 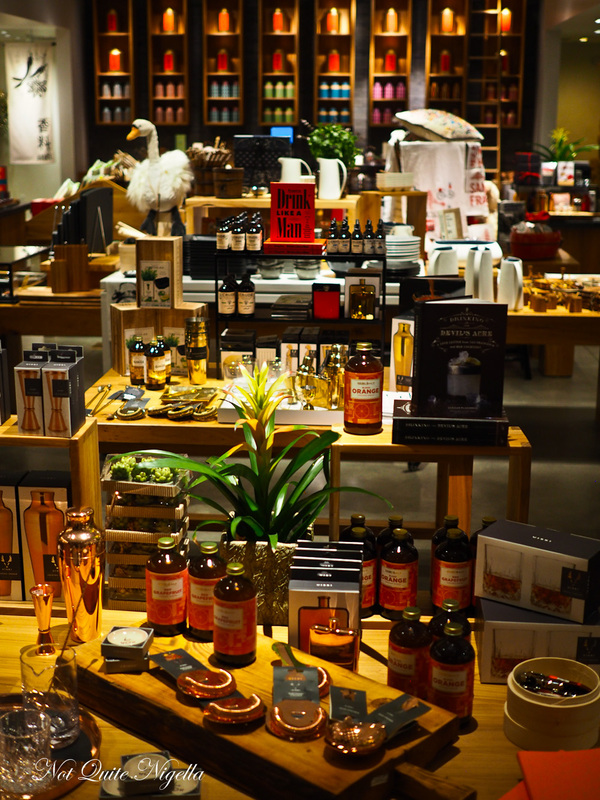 We take a look at the old and historic and new. Take the humble fortune cookie. Most people take it for granted but it was said to have been started in North America by a Japanese local Makoto Hagiwara of Golden Gate Park's Japanese Tea Garden. He gave it to visitors as a symbol of thanks for visiting the garden. It was then made by San Francisco bakery Benkyodo where it became a symbol of thanks at the end of a meal. 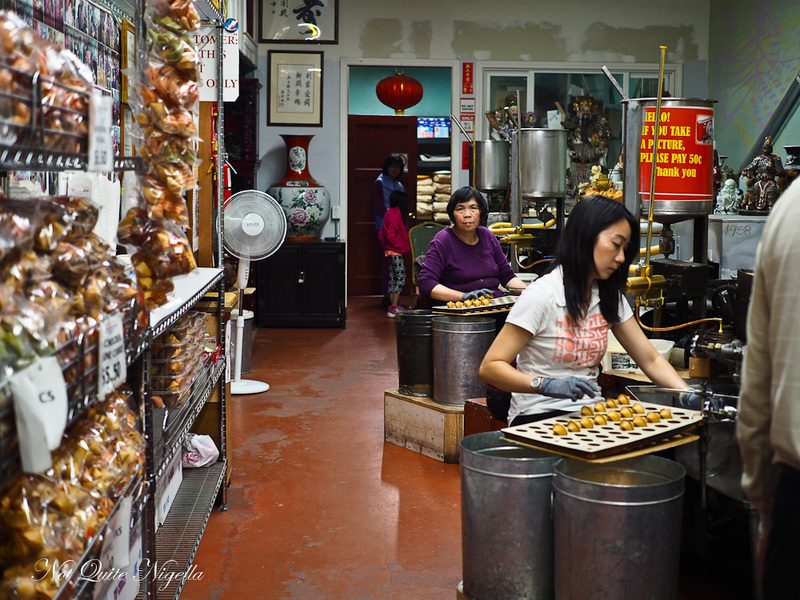 At Golden Gate Fortune Cookie Company they have been making fortune cookies by hand for the last 40 years. 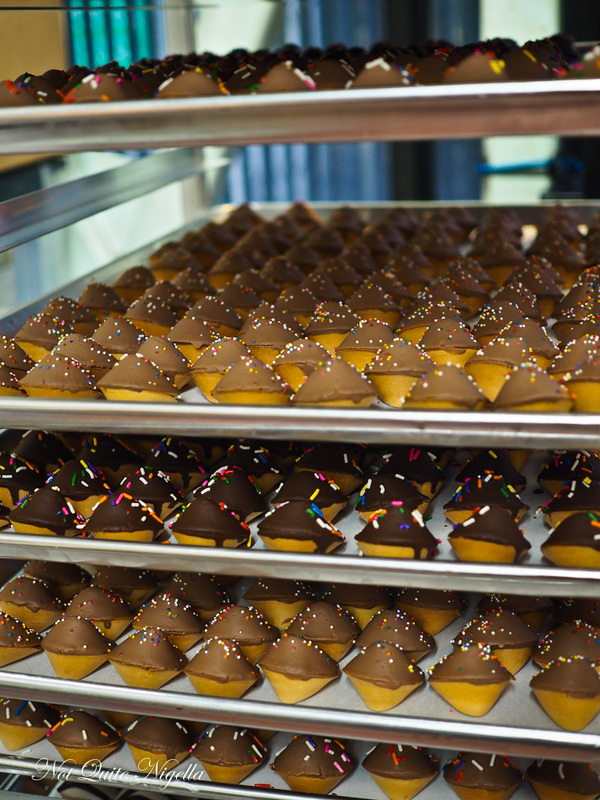 The factory makes 20,000 a day sealing each fortune individually by hand. When you walk in they offer you an unfolded one which is crisp and fresh. To take pictures you are said to pay 50Cents but they don't seem particularly bothered about this. Perhaps it was obvious after we cooed over their $6 enormous fortune cookie which I bought for my father (alas it was stale) or the chocolate dipped cookies that I bought for my mother (delicious). 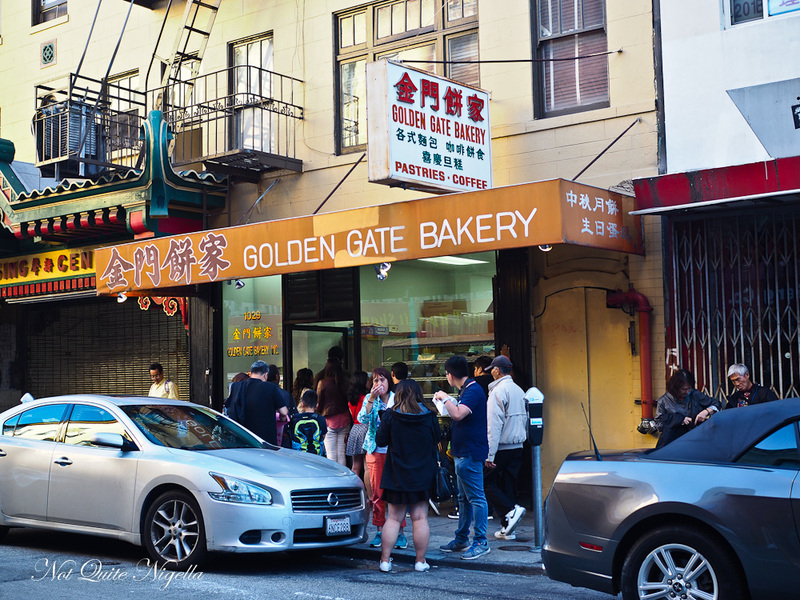 We stumble upon the legendary Golden Gate Bakery where the queues alert us to the cult pastries sold by the store. People say that there is always a 45 minutes queue to buy sweets here and most people leave with a pink box wrapped in twine full of egg custard tarts. They're $23.95USD for a box of a dozen or $2.15 each. The woman gently warns me twice that it is hot. A woman trots off down the street with her pink box. She is rapturous. "This is the best!" she exclaims, her voice turning to jelly. It's true, the custard is silky smooth and the pastry layered and crispy. 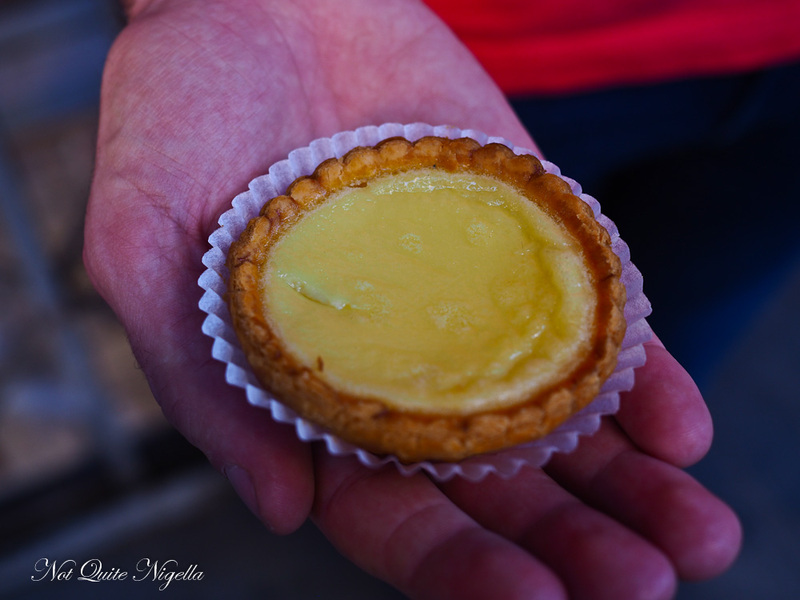 Even custard tart apathetic Mr NQN has to be torn away from the tart like a greedy child. "You're going to spoil your dinner!" I say catching myself becoming his mother. I quickly stuff the remaining warm half into the bag along with the fortune cookies because we do have dinner coming up very soon. The multi-story emporium China Live is only a few months old and located on Broadway. 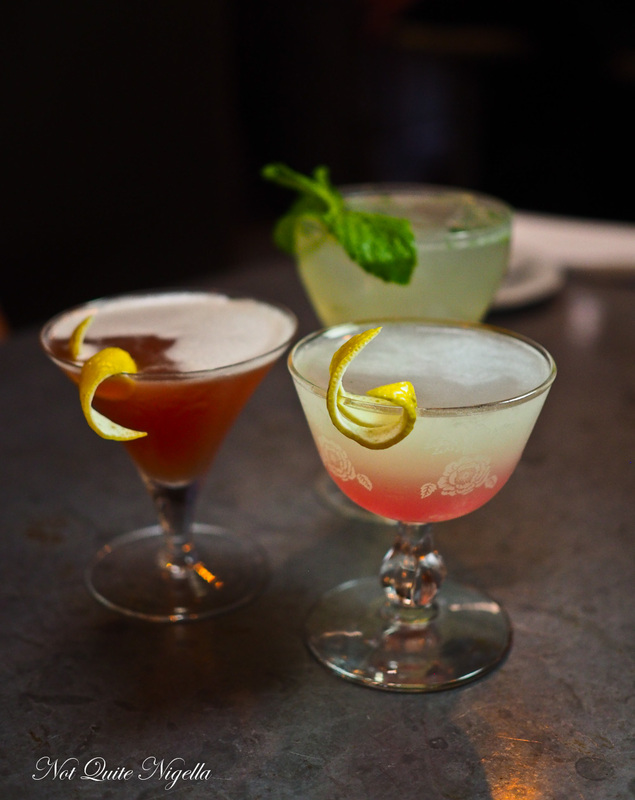 Currently it sits on two floors of a four storey building, the bottom holding the Chinese restaurant while the first floor holds a glamorous speakeasy. 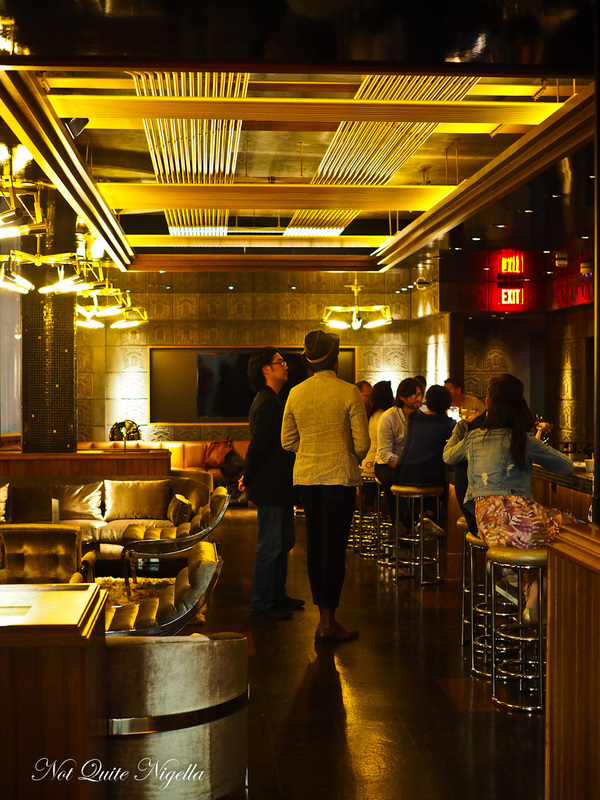 As befits a speakeasy, there's no signage here, just a gold door and a lushly outfitted bar specialising in Scottish, Irish and Japanese whiskys. Our dinner is at the restaurant on the ground floor. 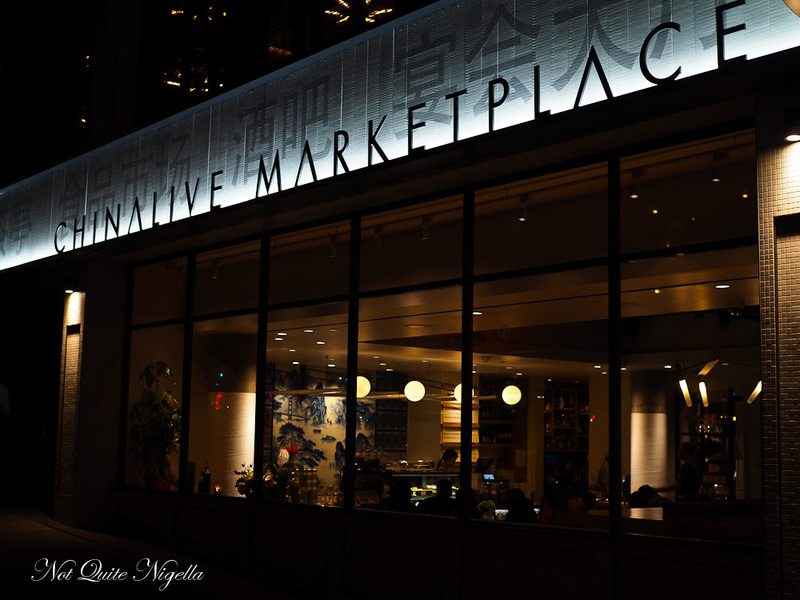 Started by chef and restaurateur George Chen, he based the restaurant on similar concepts that he saw in Shanghai. The 170 seater restaurant has several stations from the grill, dessert and dumpling station. Tables are made out of reclaimed woods and walls feature stones from Shanghai. The wine list has a lot of Californian wine and there's also a large section of cocktails, teas and non alcoholic drinks available. 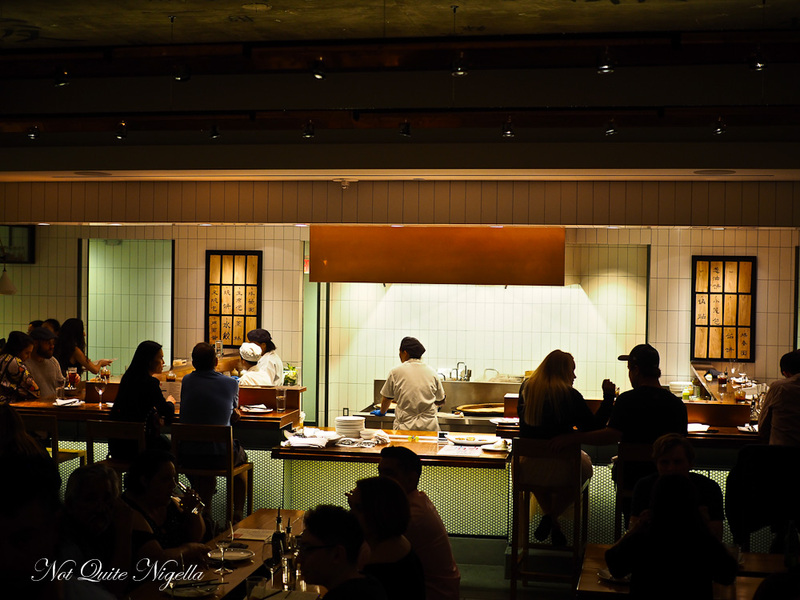 We take a seat up at the copper bar tables at the dumpling station. 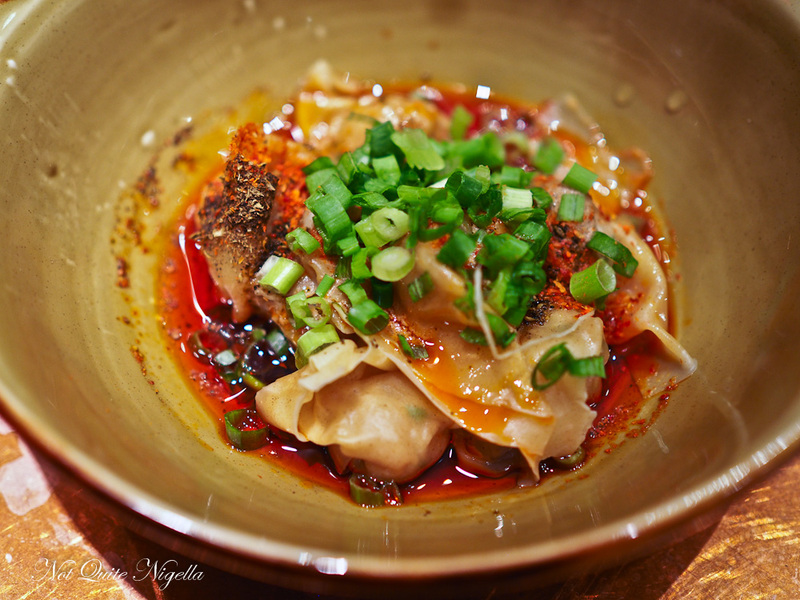 We start with pork dumplings sprinkled with liberal amounts of chilli powder and a sesame sauce. They're hot and spicy although I wish we had gone for the pan fried pork buns. Then comes their take on a Peking duck. 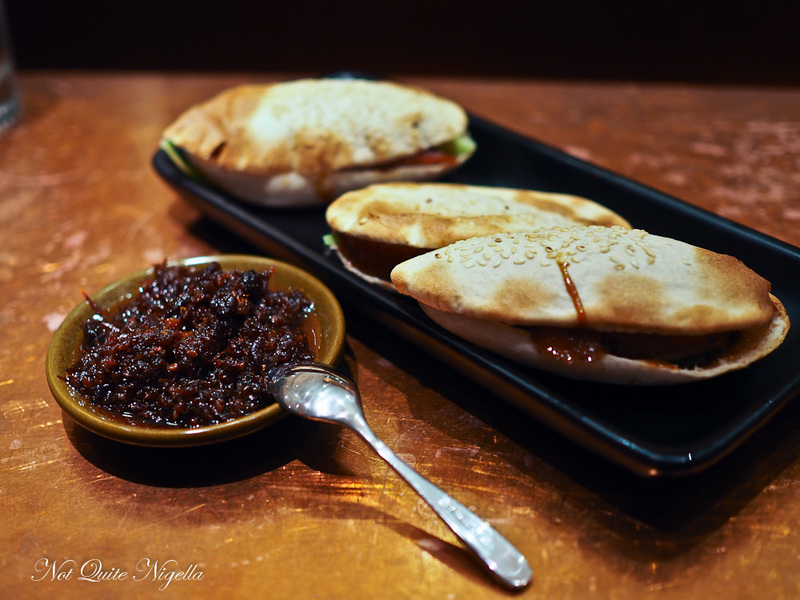 A thin sesame pancake pocket encloses finely shredded cucumber, Peking duck sauce and thick strips of crispy skinned duck meat with a cumquat glaze. The crepes are thin and the balance between bread, meat and salad is excellent and I want to reach for another one but I refrain. Because up next is crab, Dungeness crab to be specific. One of the pleasures of eating out in San Francisco is the seafood. 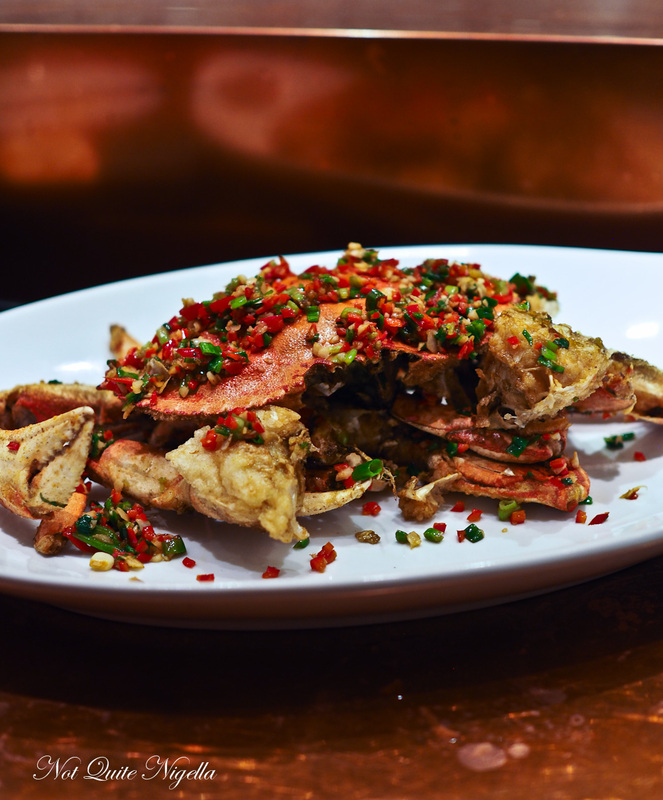 They are known for their Dungeness crab, caught on the west coast of North America. The meat is sweet and delicate and here at China Live they cook it two ways: with black bean sauce or with salt and pepper. We choose the latter and get cracking prising that sweet meat out of the shell. The crab is excellent and full of meat and we busy ourselves for the next 30 minutes cracking and sucking the meat out. This is followed by a rice course cooked in a clay pot. 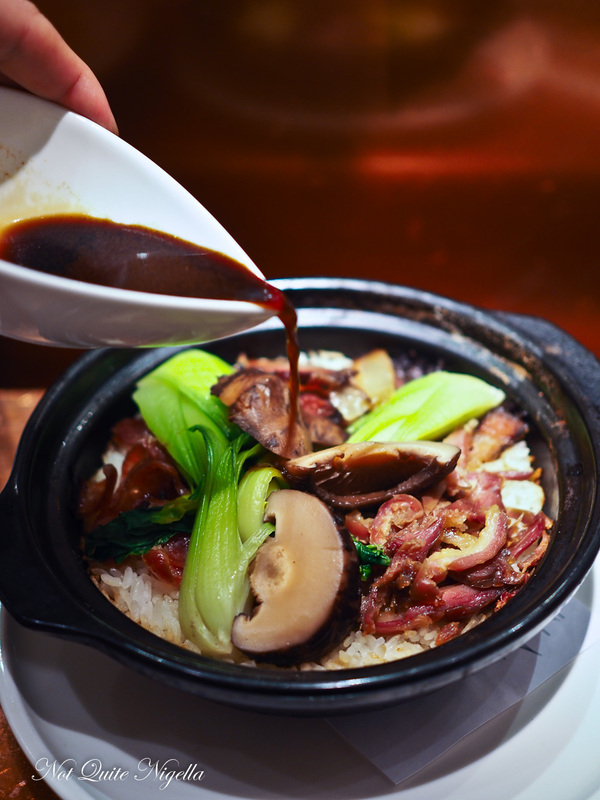 The claypot rice is only available after 5pm and takes an extra 15 minutes til it arrives. It's an alternative version of fried rice where the rice becomes crispy at the bottom while on top there's a raft of toppings from cured duck sausage, lup cheong and fatty slices of lu rou pork as well as halves of bok choy and fat shiitake mushrooms. We pour the sauce on top of it all to season it. We only have room for one dessert which is a shame as they all sounded good. 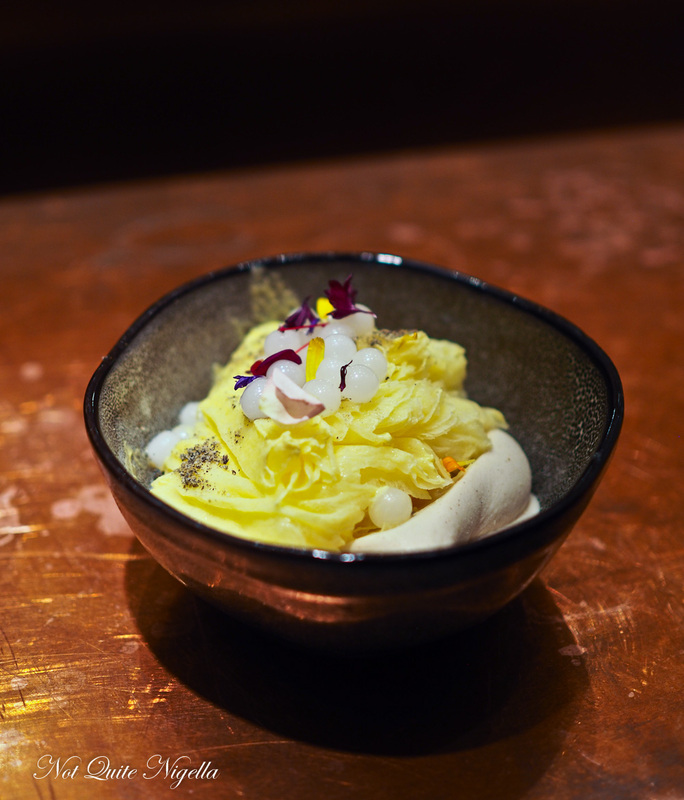 There is a bed of white sesame soft serve, a rich and aromatic soft serve but on top of this is the thinnest shaved ice that melts on the tongue like mango flavoured snowflakes (oh please let that be a thing!). 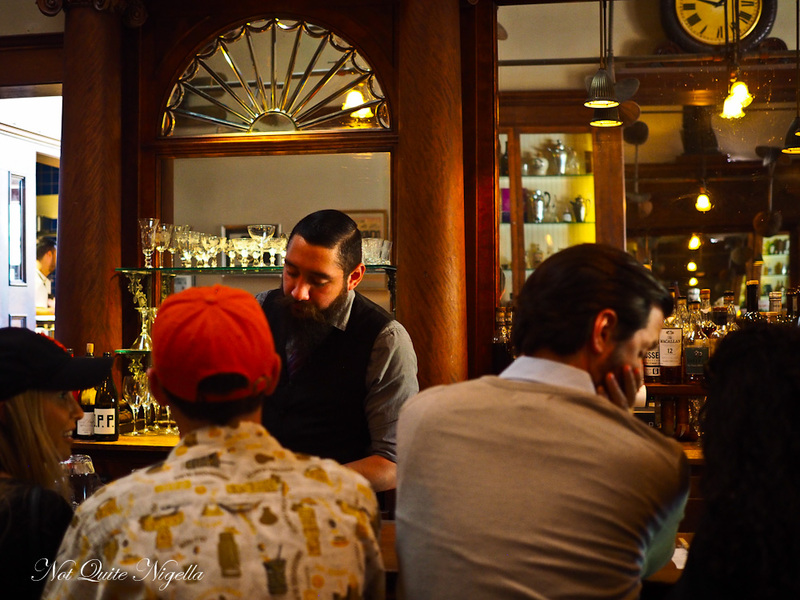 And on the edge of Chinatown there's Comstock Saloon, a bar with quite a bit of history. 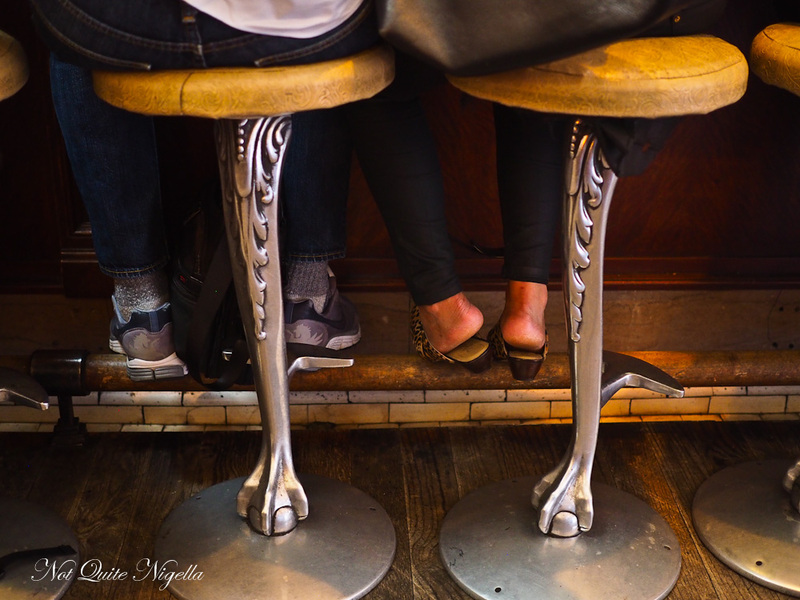 If you look closely on the floor of the bar, there is a drain recess from yesteryear when drain recesses were necessary (for beer we're told, don't think what else). Oysters and cocktails here are fantastic, at the beginning, middle or end of the night. 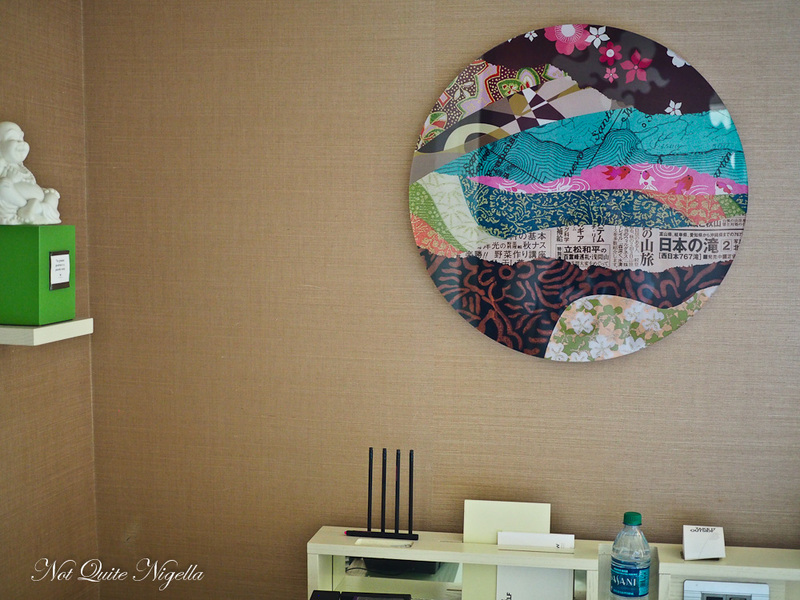 Our home for our stay is the W San Francisco. 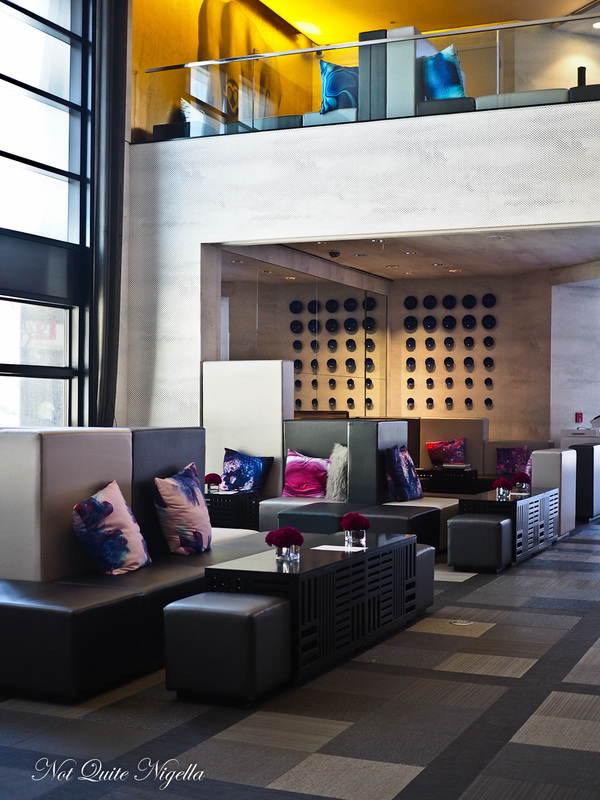 Like all W hotels it is a modern hotel and it is well located in the SOMA (South of Market) area right next to the Museum of Modern Art. It's a few minutes' walk away from the bus and train stations. The hotel has 30 floors and after a quick check-in with a lovely member of staff (most of the staff are wonderful) we make our way up to our room 2909. 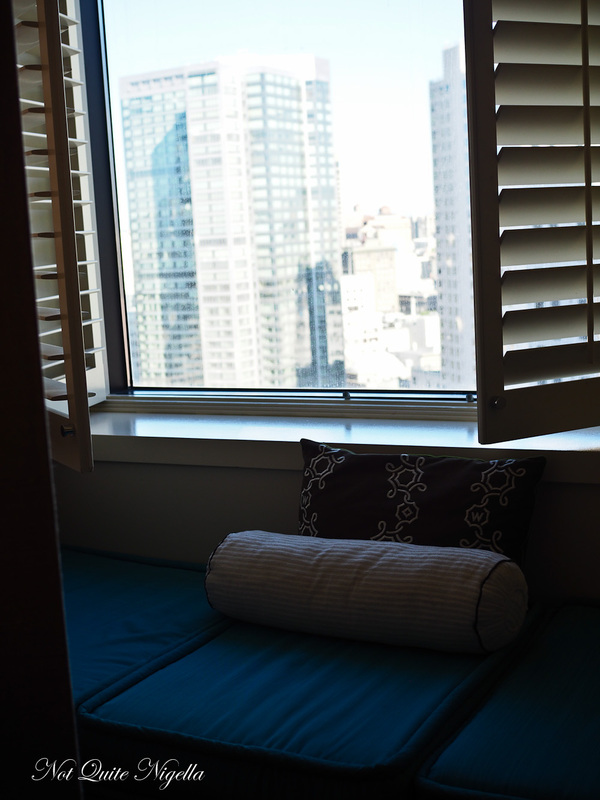 It's a corner room and quite small in size (SF real estate prices make Sydney look almost reasonable). Also be careful make sure to check your account when you check out. Still the room is comfortable and well appointed including quirky touches like a buddha light (although we couldn't get this to work), thick stationery cards and a designer homey sort of vibe. The bathroom is actually about the same size as the bedroom with a shower bath combo and a large sink and enough room to lay out my toiletries. 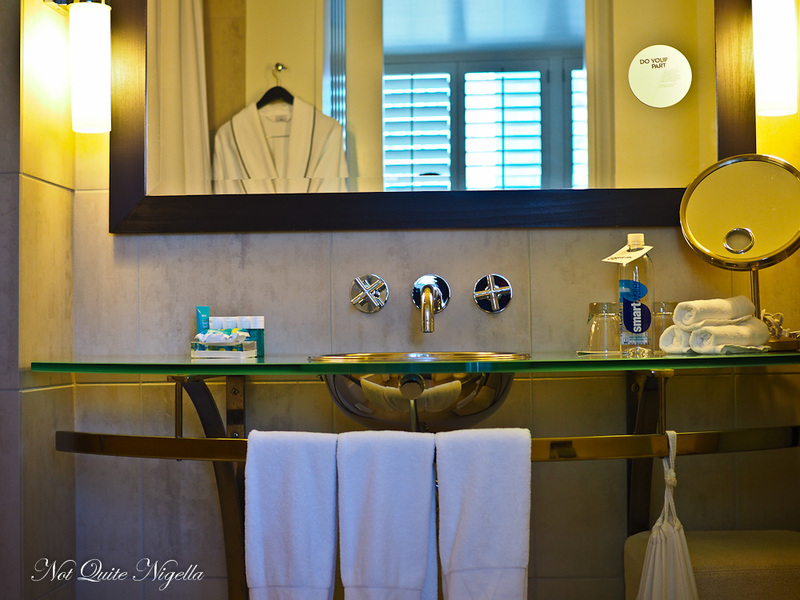 The amenities provided are by the Bliss spa and include shampoo, conditioner, shower gel, soap and face cleanser. There is a mini bar but I couldn't find any prices for this and the fridge appears sensor activated but isn't. I ask for a kettle to make tea and they bring this along with some tea bags and mugs. 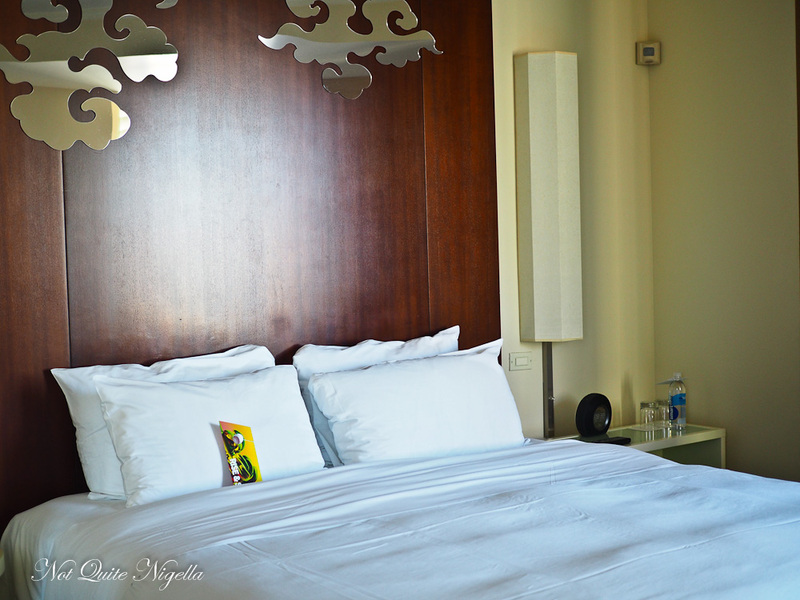 The king bed is very comfortable with great pillows and we slept well. However wifi is not complimentary here. For $10 a day you can connect up to 8 devices and internet is very fast. And on our first night we pressed the button for an elevator and when it opened a woman was standing inside holding a glass of champagne for us. 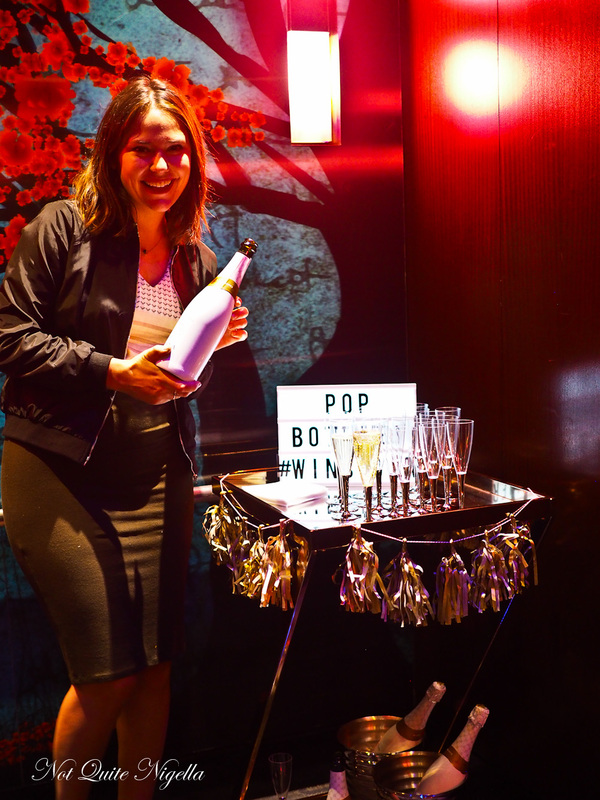 It's part of their Champagne Campaign where they randomly serve champagne in the elevator and it's a pretty fabulous idea. I don't think anyone that got on the elevator was unhappy that night. 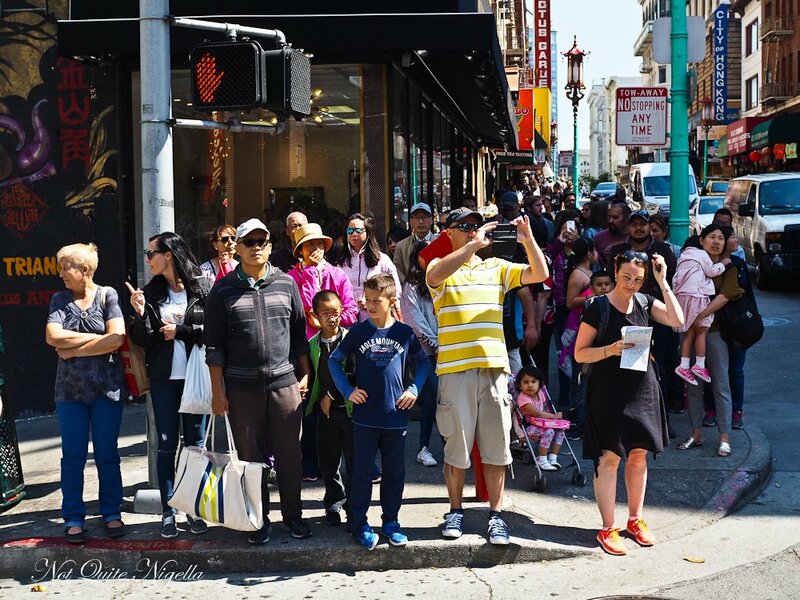 So tell me Dear Reader, where is the largest Chinatown you have visited? Do you like cracking and eating crab with your hands or do you find it too messy? And do you ever join a food queue because it's long? NQN and Mr NQN visited San Francisco as a guest of San Francisco Tourism but all opinions remain her own.